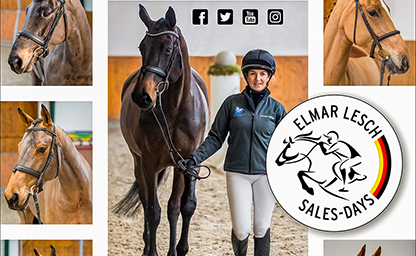 Everyone looking for a quality eventing horse should save these dates 2nd – 9th March 2019 because this is when the Elmar Lesch Sales Days will be taking place at my yard in Bavendorf. Please see details of the collection below. I am really pleased to be able to offer you a large proportion of the youngsters direct from the breeders and that yet again there are a number of ardent breeders among the sellers who have previously sold via my sales days. 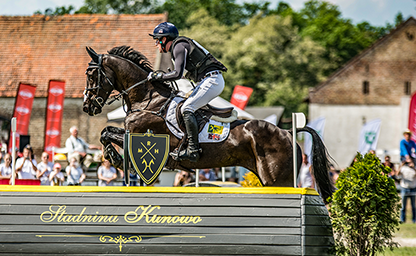 FEI General Assembly in Bahrain has announced that an eventing qualifier for the 2020 Olympic Games in Tokyo will be held during Equestrian Festival Baborówko 2019 in Baborówko, Poland. For athletes from C group, that includes countries from Central and East Europe, it is one of the two opportunities to qualify for the Olympics. In a long-term agreement, LONGINES will increase its engagement and act as Luhmühlen’s Title Partner. 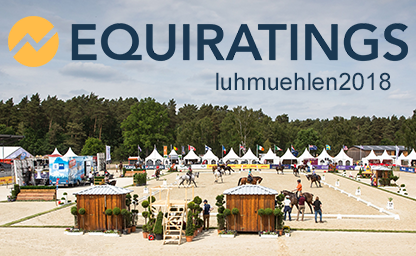 In addition to the title partnership of Luhmühlen’s CCI5*-L competition, LONGINES has also committed to the title partnership of the Longines FEI Eventing European Championships. 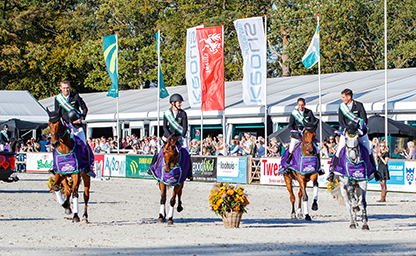 Great Britain secured their title as overall FEI Eventing Nations Cup™ series winners as the competition came to an end in Boekelo today, with France second and Germany third. In the team rankings just for the the event in the Netherlands it was Germany who took first place with Great Britain in second and Sweden in third. 21|09|18 // WEG - Something to think about? 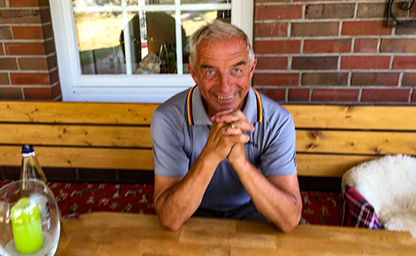 An interesting article written by Thomas Borgmann, author of the book “Michael Jung: Vielseitig zum Doppelgold (Multitalented to Double Gold) for the Stuttgarter Zeitung/Stuttgarter Nachrichten – print edition. 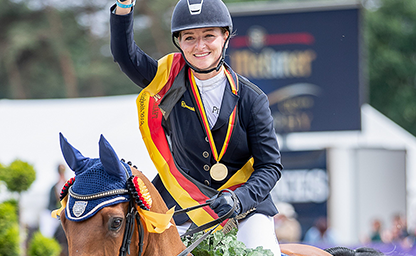 The World Championship title was within her reach – but Ingrid Klimke won only bronze - 5th place for the German team - what is wrong with the chemistry in the German team camp? 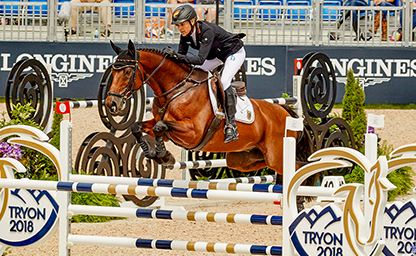 Ingrid Klimke and SAP Hale Bob Old win bronze at the World Equestrian Games in Tryon/USA after a nail biting final day of show jumping. 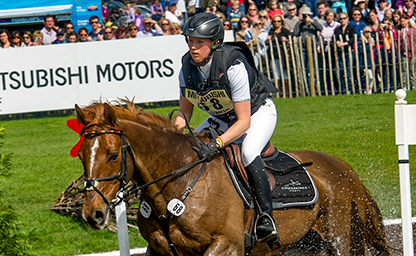 Great Britain's eventers claimed a golden double on an unforgettable day of action. Rosalind Canter not only led the British team to glory - their first world Gold medal since 2010 - but she also won the Individual title with her brilliant 13-year-old gelding, Allstar B.
Germany's quest to retain the Team and Individual Eventing world titles continues in record breaking fashion on another brilliant day of dressage. 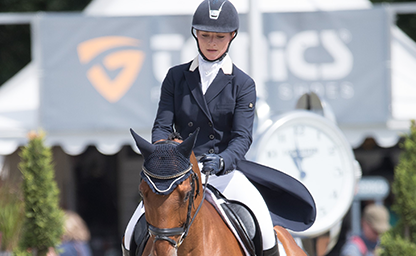 Julia Krajewski not only held her overnight lead with Chipmunk FRH after the second day of dressage, but her closest challenger is team-mate and reigning European champion Ingrid Klimke. 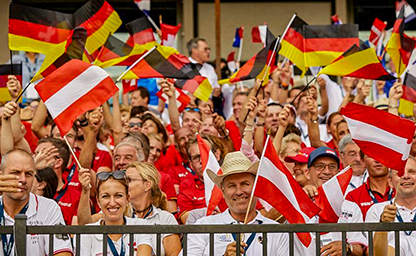 The German eventing team got off to a good start yesterday at the World Equestrian Games in Tryon. After a good performance from Kai Rüder with Colani Sunrise and a superb test from Julia Krajewski with Chipmunk FRH, the defending champions are in 1st place at the start of the 2nd day. However the size and pomp of the opening ceremony probably didn’t really fulfill the normal criteria of the American hosts and was kept fairly plain and simple. Only one athlete from each country, for Germany it was Ingrid Klimke were allowed to march in with the flag, there were a few speeches and also just a few spectators. To be honest the spectators were really only the representatives and the competitors from the 68 nations taking part. 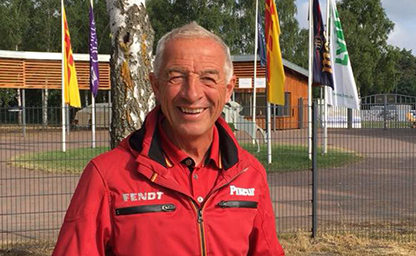 In our first interview with Hans Melzer, the German national trainer, we received answer to how the conditions are on site and how the horses and rider are doing. 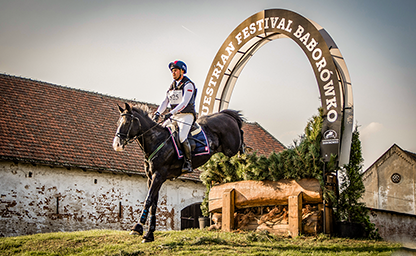 The third edition of Sport Horses Auction will take place during Baborówko Horse Sale Show - the international eventing competitions held from 28th to 30th of September in Baborówko, Poland. 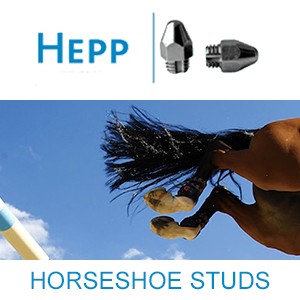 There are seventeen horses with predispositions to eventing accepted to the bidding at the auction. 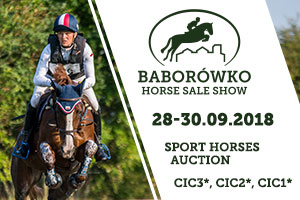 The bidding will take place on Saturday, 29th of September, yet from Thursday during Baborówko Horse Sale Show the buyers will have the possibility to check out the horses as well as take part in test riding. 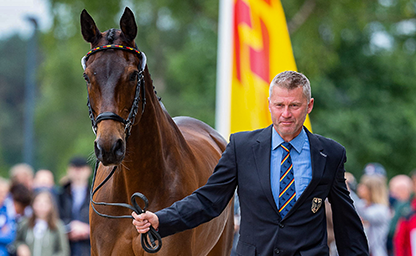 On Tuesday the bad news that Michael Jung was withdrawing his mare fischerRocana FST from the World Equestrian Games due to a strain in her fetlock joint, spread like wildfire, fortunately the injury is not serious but needs time to heal. Michael’s place in the team will be taken by the reigning World Champion Sandra Auffarth, however she won’t be riding Opgun Louvo, her horse from the last World Championships, but the 9 year old stallion Viament du Matz (Photo). 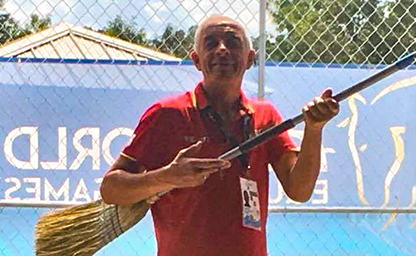 This makes WEG from the German perspective definitely more interesting……..
Baborówko Horse Sale Show will be held from 28th to 30th of September in Baborówko near Poznań (Greater Poland, Poland). 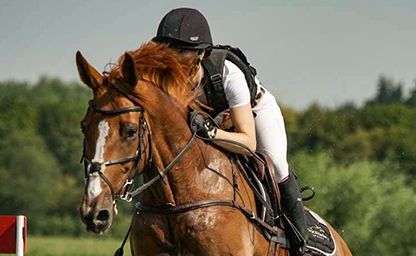 During the show will also take place The Sport Horses Auction of horses with showjumping and eventing potential. 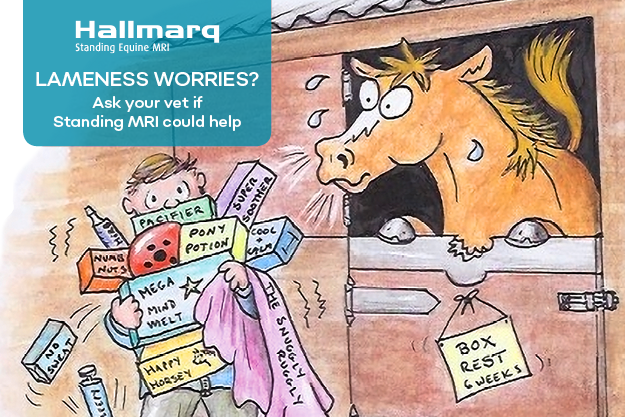 What went wrong in Aachen? - Samourai du Thot or Chipmunk FRH? 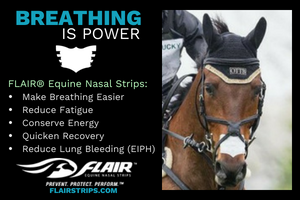 - Short List for WEG 2018 ? Sandra Auffarth announces her top horse and World Championship partner in 2014, Opgun Louvo wiil no longer compete at championship level. 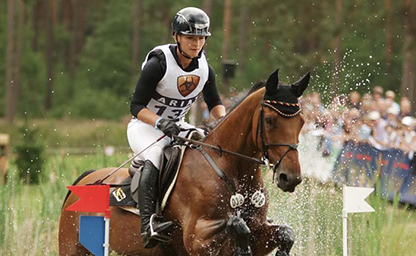 Marie Kraack came 8th in the individual ranking in the CICO3* - Nations Cup in Strzegom. A further success at 3* level and a so called home game for her 15 year old gelding Havana Club who was bred in Poland. The German Team finished in 5th place. (Photo by Annette Dölger). 28|06|18 // Andreas Ostholt and So Is Et are back in force! This was without doubt the highlight so far for Andreas Ostholt, coming second in the CCI4* at Badminton in 2016 with the Westphalian gelding So Is Et (Photo). 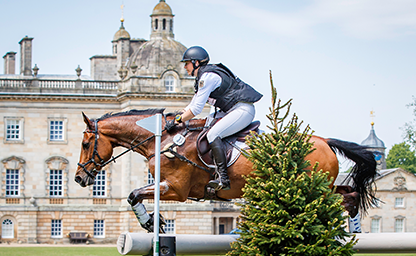 After Badminton we didn’t hear much about this pair and as a precaution due to fitness issues they didn’t start in any long events, even though they did come 5th in the CICO3* in Houghton Hall in 2017. 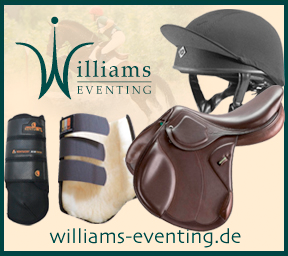 However we are pleased to say So Is Et is now top fit again and they are in Strzegom competing in the CCI3*. 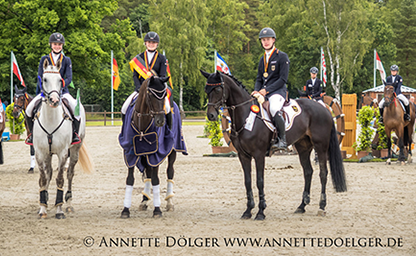 On Sunday after the the completion of the German National Youth Championships the group responsible for youth nominations at the Deutschen Olympiade-Komitees für Reiterei (DOKR) announced the candidates for the European Championships in Fontainebleau in France (11 - 15 July). 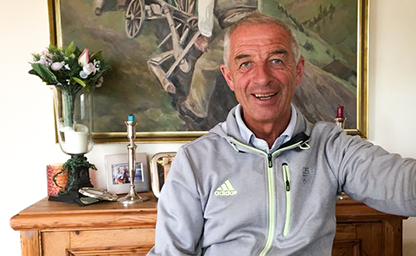 On Sunday at the final press conference in Luhmühlen, Hans Melzer (photo), the German national trainer, announced the long list for WEG 2018. Julia Krajewski and Samurai du Thot not only win the three-star competition but also the national championship! 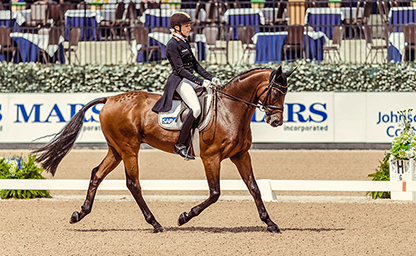 They held onto their dressage score of 19.90 throughout the week. In second is Ingrid Klimke (GER) and SAP Hale Bob OLD (25.90) followed by Yoshiaki Oiwa (JPN) with The Duke Of Cavan (26.90) in third. Second and third in the German Championship are Ingrid Klimke (GER) and Bettina Hoy (GER). Jonelle Price (NZL) and Faerie Dianimo (28.30) are the new CCI**** winners! Laura Collett (GBR) with Mr Bass (29.90) and Ros Canter (GBR) with Zenshera (29.90) follow in second and third. 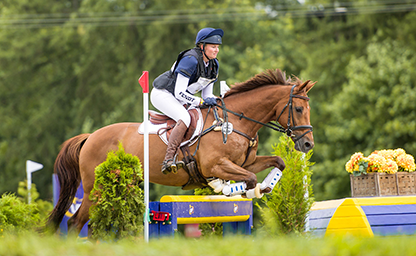 CIC*** Meßmer Trophy – Julia Krajewski (GER) still in the lead. DHL presents CCI****: Boyd Martin in the lead after cross-country. 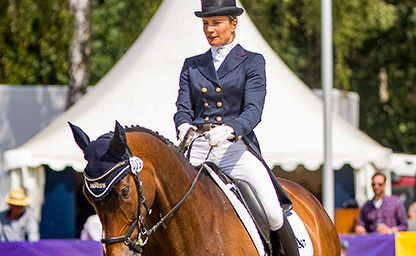 Julia Mestern (photo) takes lead in CIC*** Meßmer Trophy. 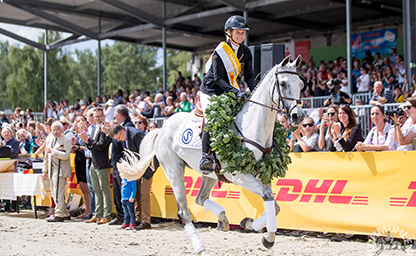 DHL presents CCI****: Kitty King and Boyd Martin in joined first. 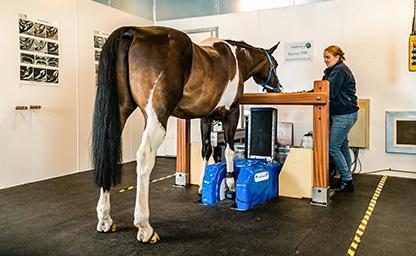 Luhmühlen’s four-star competition began with the first veterinary check this afternoon. Fifty-one horses were beautifully presented to the ground jury to receive their “accepted” in order to proceed to tomorrow’s dressage. There is a four-star achievement that hasn’t been achieved outside of Australia for ten years. That in itself should be a clue, but the answer is quite the task – a complete top-five clean sweep by a nation in a four-star. Australia did it eight times between 2008 and 2016 on home soil at Adelaide. 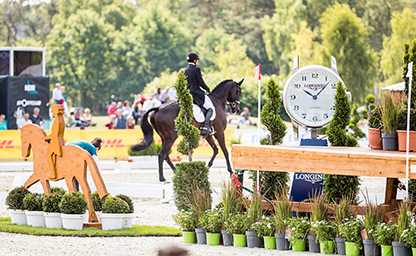 Heather Reimer has taken over as editor of German Eventing. 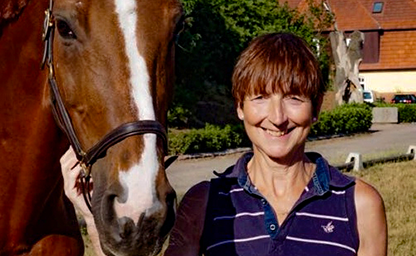 Born in the UK Heather has been involved both privately and professionally with eventing for many years and is the ideal person to develop German Eventing into an international online magazine in German and English. She will be joined by the photographer Diana Jung who will supply images and reports from events all over Germany. We will be reporting from Luhmühlen with our new team and new ideas! 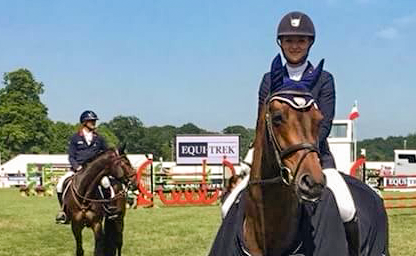 Julia Krajewski has won the well known three star event in Bramham, England. The only German competing and riding Chipmunk, a former young horse national champion, she led comfortably from start to finish. 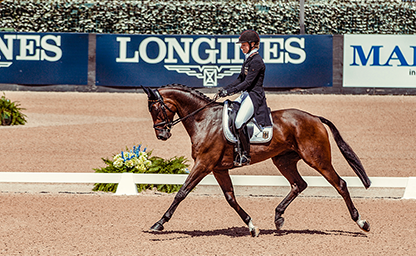 With a dressage result of only -19,4 she laid the foundation for her success. 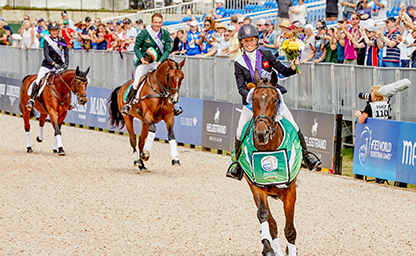 Ahead of the World Equestrian Games in Tryon, Luhmühlen’s entries promise exciting competitions. 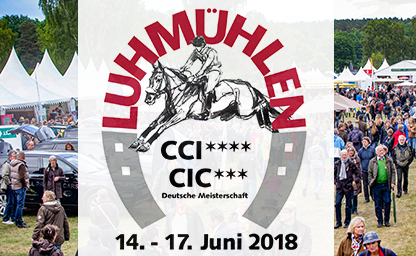 Sandra Auffarth, Ingrid Klimke and Andreas Dibowski are some of Germany’s top-class riders who are going to compete at Luhmühlen’s DHL presents CCI**** and the CIC*** Meßmer Trophy alongside outstanding eventers from twelve other countries. 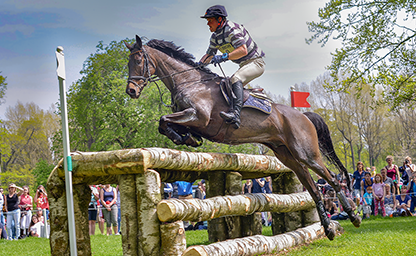 Six nations contested the British leg of the FEI Eventing Nations Cup™; Britain, Ireland, Sweden, United States, New Zealand and Germany. It was the home side who took the early advantage, leading after both the Dressage and Jumping phases, but Cross Country day proved its downfall. 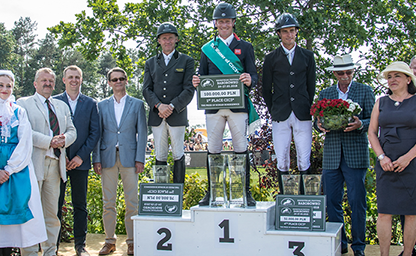 Germany's dominance at Houghton continues and they took the FEI Eventing Nations Cup leg for the fourth successive year. The British rider Oliver Townend has taken the lead in the CIC3* after dressage and kept it until today. Aboard Cillnabradden Evo he completed the challenging showjumping course without mistakes, and has taken home the first place, with a prize of 100 000 PLN. The second place went to Andreas Dibowski (GER) with FRH Corrida. Third place was taken by Maxime Livio (FRA) aboard Pica d’Or.